The church in question, La Lomita Chapel, belongs to the Roman Catholic Diocese of Brownsville, Texas, and is 170 years old. The diocese leases the land surveyors wish to have access to to the city of Mission as a park. Noting it would likely take only a few hours to complete their work, Crane ruled in the government’s favor to allow surveyors access. However, for Bishop Daniel Flores and many other concerned church-goers, the surveying is just the first step in a process to build a border barrier on the property the church sits on. Other areas affected by the proposed wall include a butterfly refuge and the Bentsen-Rio Grande Valley State Park. These parks would be split by the wall. However, Congress has already ruled that the nearby Santa Ana National Wildlife Refuge should not be affected by a wall. A local cemetery may not be so lucky. Protestors gathered on Tuesday as equipment is being staged to begin work on a barrier. According to mrt.com, the butterfly sanctuary is threatening to sue if the government tries to take its land. Indeed, several families are also considering their options in the Mission area. There are a lot of eminent domain cases pending once a plan is determined as far as where to build the barrier. Landowners along the border have received notices stating the government intends to declare access to their properties for the next 12 months. The chapel has historical significance to the town of Mission. Originally built by a merchant, the chapel was given to Oblate priests in the late 1800s. 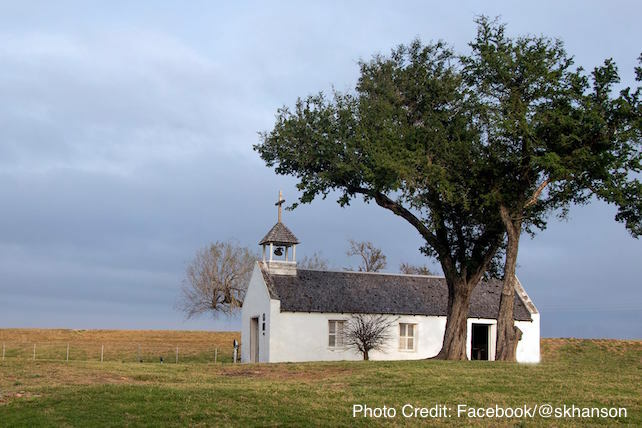 Oblate missionaries, known as the “Calvary of Christ,” rode up and down the Rio Grande Valley visiting far-flung churches and performing priestly duties such as baptisms, weddings and funerals. In fact, the chapel, which predates the founding of the town, provided inspiration for the name Mission. According to mrt.com, the border barrier project is progressing, protests or no. Construction is to begin soon on a levee upstream from La Lomita. As far as the chapel is concerned, surveying could start as early as next week or in six months, according to David Garza, the Diocese’s attorney. If [the government] decided that they want to proceed forward and take the land then they would have specific dimensions of the land that they want to take. They would have to send an offer to take the land and at that time, if we refused, if the diocese refused, then that is when they would file the new suit to actually take it. Those who attend the chapel hope and pray that doesn’t happen. Next articleMatt Chandler: Is Church Membership Biblical?